House mice have lived with and around humans for thousands of years. By 1000 BC they were spread across all of Asian and Europe, and shortly after that they made themselves a world-wide species. They have also become invasive species on many smaller islands, where they often destroy entire species of insects and lizards that they eat for food. 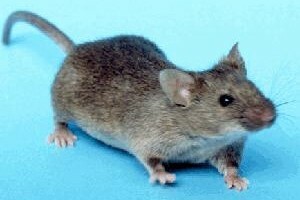 As pests the house mouse is most renowned for spreading diseases and destroying food stuffs and packaging. Their urine and droppings has also been known to cause late onset asthma and even hair loss in some cases. Mice can generally be dealt with using a combination of physical traps and poisons. Maintaining a sanitized building, especially in the food industry, is the first step to keeping a mouse free building. There are also construction steps that can be taken to eliminate all openings and cracks through which they may enter a structure. The roof rat’s ability to live almost anywhere has allowed it to spread all over the world without much competition. Roof rats are known as generalists, meaning they have almost no preference as to what they will eat. This is a large reason they are so adaptable, as well as the fact they reproduce rapidly; can fit and build nests in small spaces; and they also have a relatively long lifespan. The roof rat often destroys native species when it gets to a new habitat, which is one of the largest reasons for its status as a pest. While traditional methods can be used to exterminate the populations, newer pest control methods and procedures have proved to be very successful. 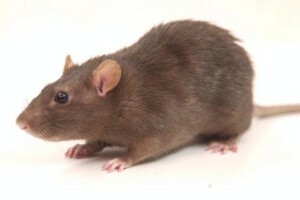 Strategic Industries has years of experience dealing with rat and mouse infestations, and unfortunately, they are common throughout the Southeast. Our processes are safe and effective for businesses of all sizes. 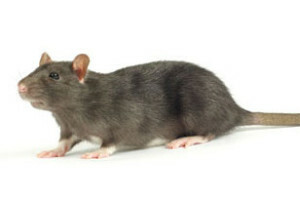 Norway rats are the most common rats in cities in the United States. When living around humans in cities, rats prefer to stay out of site in the sewers, the walls of older buildings and alleyways. Norway rats are widely known to carry a variety of diseases, ranging from rat bite fever to Weil’s disease. Since they are so often in close quarters with humans, this has made them become one of the most despised pests in the United States. They also rapidly reproduce and have a very diverse diet, making them quite adaptable. Ensure your facility or office is properly sealed, and make habitation unappealing by keeping the indoors sanitary and clutter free. Ensure the outdoors are tidy, and keep woodpiles covered. Because they are vectors of disease, and because their chewing can cause significant damage, we recommend calling us at Strategic Industries if you notice signs of rats. We’ll provide you a thorough inspection to evaluate your pest problem before offering you the best pest control options on the market.